This textile sample was designed and woven by Marianne Strengell, one of the most important textile artists and educators of the 20th century. Strengell employs a moody palette of blue, violets and blacks, punctuated with a metallic sheen reminiscent of stars emerging at twilight. The warp is composed of wool and rayon, with linen, lurex, wool and rayon comprising the weft. The combination of natural and synthetic materials was a hallmark of Strengell, who famously utilized new synthetics – like lurex and cellophane – that emerged from industrial manufacturing in the mid-20th century. Strengell studied weaving at the Central School of Industrial Art in Helsinki and graduated in 1929. In 1937, Eliel Saarinen invited her to teach at the Cranbrook Academy of Art in Bloomfield Hills, Michigan. She served as a weaving instructor there until 1942, and then assumed the role of Head of the Department of Weaving and Textile Design until her retirement in 1961. During her twenty-five years at Cranbrook, Strengell enjoyed many relationships with several architectural and industrial clients, like Skidmore, Owings & Merill, Eero Saarinen, Edward Stone and her husband, the architect Olav Hammarstrom. She also worked prolifically within the automobile industry, specifically for General Motors in Detroit. 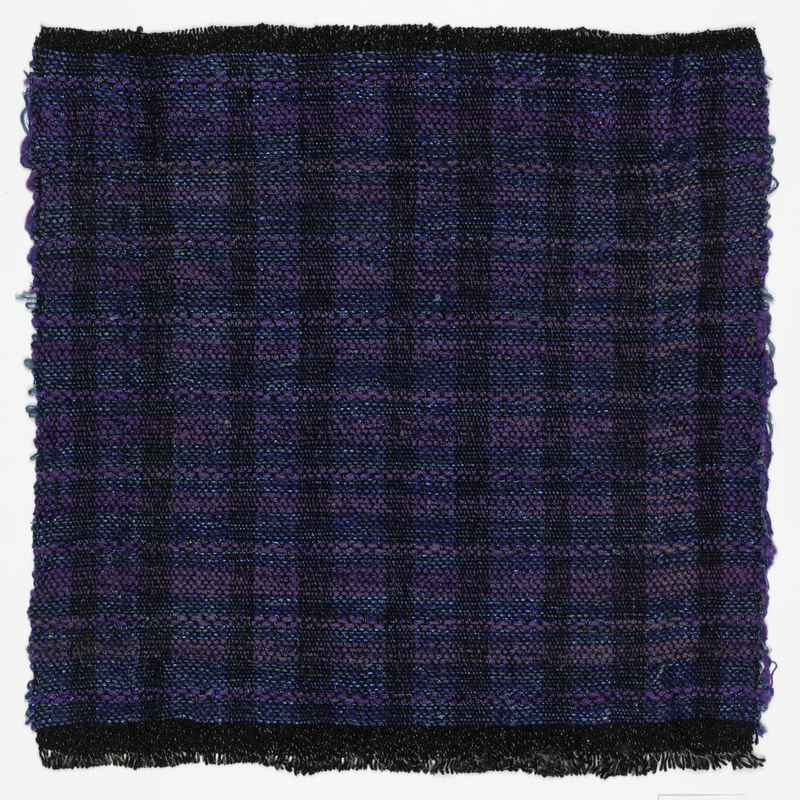 Sample, USA, 1937–61, designed and made by Marianne Strengell (Finnish, active USA, 1909–1998); plain weave wool and rayon warp with linen, lurex, wool, and rayon weft, Gift of Marianne Strengell, 1984-111-15.